How do I set my retargeting campaign? To start the retargeting campaign, you need to install Ako Retargeting in advance. Check How to install Ako Retargeting? for more. 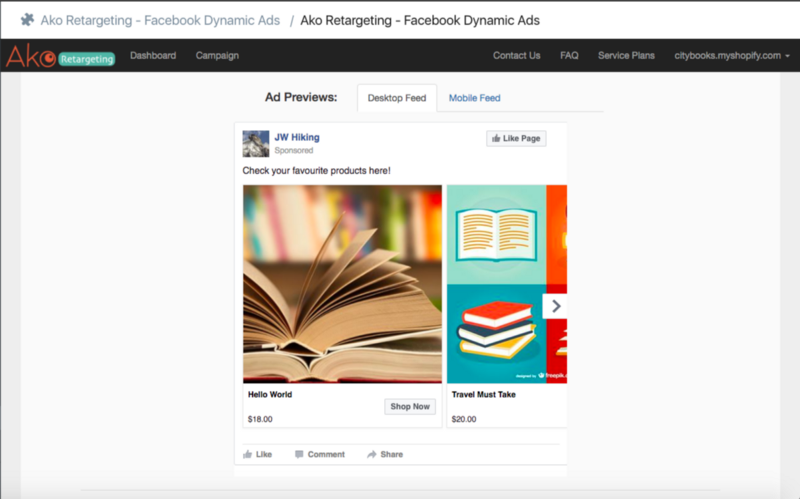 Create your own retargeting campaign now! 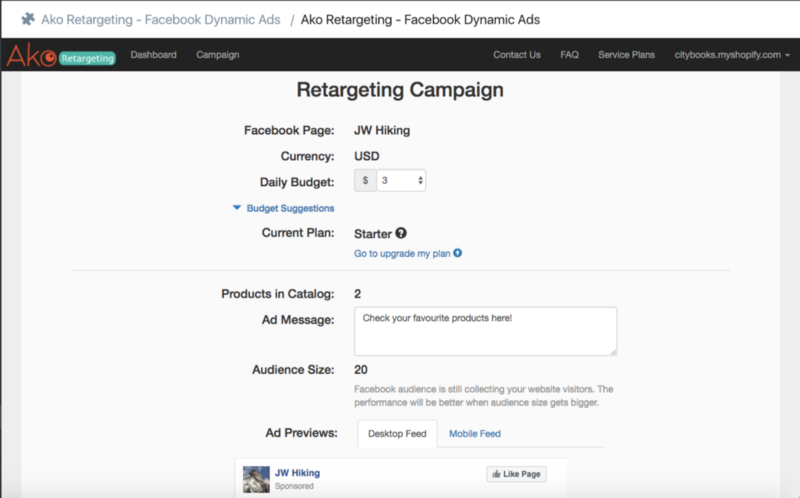 To create your retargeting campaign, you have to set a daily budget. The amount you spent on daily budget is your free choice — however, depending on the plan you chose there will be a maximum ad spend set for you. Ako Retargeting also provides its suggestion on what would be the best budget to reach the highest ROI, based on the amount of customers you have. Our retargeting campaign adopts carousel ad format with multiple scrollable product images. The content of your retargeting campaigns is decided by your website visitors’ behavior. Different customers will see different products that they have viewed or added to their cart before. You only need to decide what text content you would like to deliver to your audiences, e.g. “Check your favourite products here!”. While setting up your campaign, you can see your campaign preview where you can edit the “Ad Message” and see how the ads would look like with the product images on your website. If you are satisfied, click “Create Campaign”. It will take approximately 5 days before your retargeting campaign will be activated. The reason behind this is that Ako Retargeting wants to make sure your audience is big enough, thus providing a higher chance for your campaign to perform effectively. If you don’t have a large audience, no need to panic! 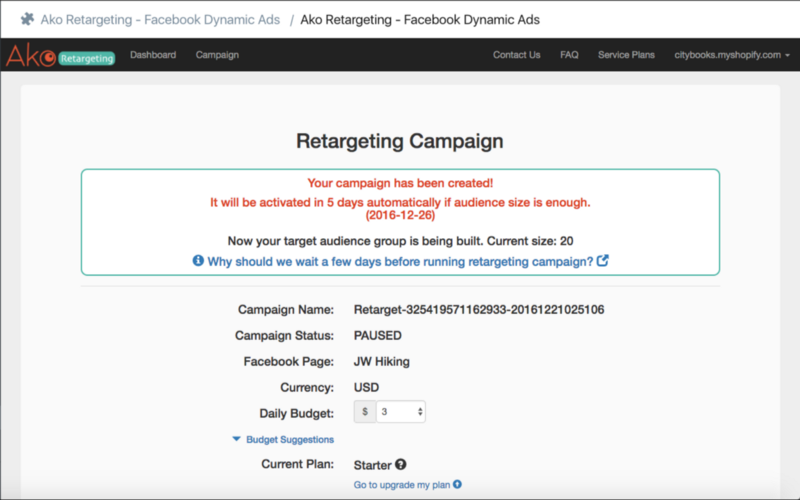 During those five days Ako Retargeting will build an audience group for you. 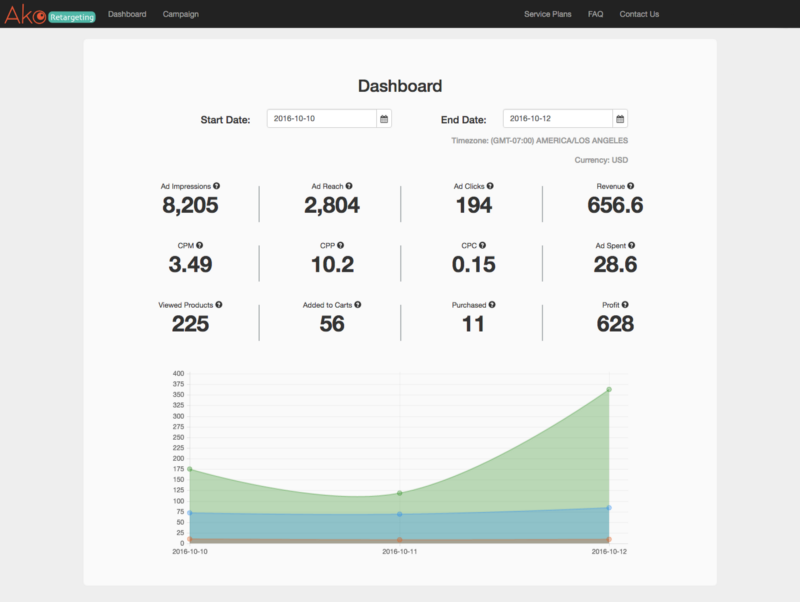 Now that your campaign has been created, you can check its performance on your dashboard easily.